Error: Invalid configuration for device '0'. While enabling vNIC on Virtual Machine in dVS, it's giving Error: Invalid configuration for device '0'. 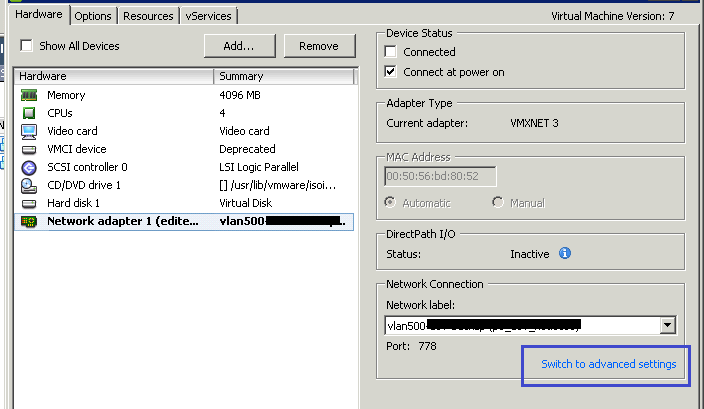 Virtual Machine NIC is showing disconnected(Image#1). When tried enabing, it's not getting connected and generating configuration error(Image#2). Check Current using Port in Network Connection Section(Image#3). 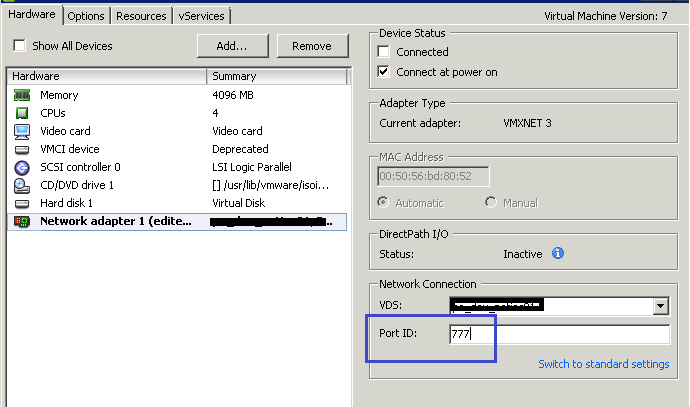 Expand related Distributed Switch and Click on Port Group being used by VM. Select Port Group, Click on Ports tab in right panel. Verify the available free port in that Port Group. Again go back to Virtual Machine >> Edit Settings. Click on "Switch to Advance Settings"(Image#3). Enter New Port Number>> Click OK.
Now try connecting Network Adaptor, it should work. Please consider sharing if you found it useful.